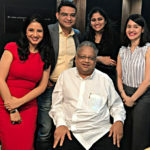 Rakesh Jhunjhunwala, the Badshah of Dalal Street, has such a calm and relaxed demeanour at all times that it is hard to imagine him doing mundane things like analyzing Balance Sheets and working out profitability ratios. Yet, the reality is that the Badshah is a stickler for meticulous and in-depth research. 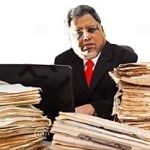 The remarkable aspect is that though Rakesh Jhunjhunwala has the best researchers in his team in the form of Utpal Sheth and Atul Suri, he loves to get his hands dirty by doing the primary research himself. We have seen live instances of the Badshah standing in queue with other rank and file researchers, waiting patiently for his turn to ask questions from the management and seek clarifications. There are examples of Aurobindo Pharma, Tata Motors and Titan Industries, where the Badshah has stood in queue and shown his enthusiasm for hands-on research. However, Dewan Housing Finance is an exception to this. 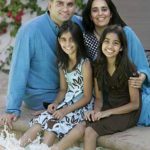 In a moment of candour, the Badshah revealed during a chat with Ramesh Damani and N. Jayakumar that he bought Dewan Housing Finance without doing any research and only because it was quoting at a rock-bottom valuation, offered a high dividend yield and was consistently growing at 20% for the last ten years. “Such ridiculous valuations!!! … What is there to think? 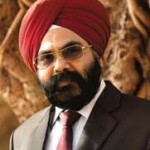 So those kind of situations are like invest now, investigate later” the Badshah exclaimed. “Today, it is like meeting Aishwarya Rai, what are you thinking!! You date her without thinking” the Badshah added, much to the amusement of Ramesh Damani and N. Jayakumar. The Badshah presently holds 100,00,000 shares (post bonus) of Dewan Housing. The holding is worth Rs. 202 crore at the CMP of Rs. 202. Dewan Housing is presently a bit sluggish owing to the state of the market. It has slumped from a high of Rs. 268 touched on 7th August 2015. Angel Broking has issued a crisp initiating coverage report it which it has pointed out that the company is expected to post a healthy loan book CAGR of 20% over FY2015-18E, which is likely to translate into earnings CAGR of 21.3%, over the same period. It is emphasized that the stock currently trades at a cheap valuation of 0.8x FY2018E ABV and that it has a price target of Rs. 270, which is a hefty upside of nearly 35%. SMC Investments has recommended a buy on the basis that DHFL “continues to perform well on growth and asset quality front. While margins have inched up, Ratings upgrade coupled with reduction in base/wholesale rates are likely to aid margins.” SMC has predicted a target price of Rs. 294 for DHFL. 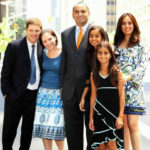 Some other experts who are bullish about Dewan Housing include Daljeet Kohli and Amar Ambani. Even Dalal Street Investment Journal (DSIJ) has recommended a buy in its latest issue. Now, we have to wait and watch to see whether these predictions and price targets are realized and if so by when! Dos anybody have any view on Patels Airtemp? A small engg. company in Guj. with a sound and steady business. One of the best survival story as the sector was in doldrums in last few years. A stable order book plus regular dividends makes this small cap attractive considering the recent improvement in the overall sector and economy. Nothing major negatives except less liquidity as a small cap stock. Housing Finance compnies are safe bets for 15% CAGR.It is better to go for basket buying to mitigate risk . DHFL,LIC,GIC etc looks worth investing for conservative investers. Has anyone looked at a small NBFC called capital trust ? I don’t know about the management quality but their numbers look really great. So the so called experts are now approving of the badshah’s investment? It should be the other way right? so called experts know when to give positive views to move prices up so that some them can offload easily to retail investors , let prices go down, take positions again and then start singing again . Its a pattern . Please check when RJ took position how stock price was moved from 150+ to 390+ . These so called experts know when to sing chorus . When entire market was down no one started it , bcs they knew no one will listen to them . Now since market is up and investors are looking for opportunities, these so called experts also got opportunity . These wizards have been bullish on housing finance companies since 3 years. Repko, Gruh and Can Fin ahve been rising, even IndiaBulls HF is also rising. Why is DHFL so undervalued, i have compared the fundamentals of all the companies but can not understand why it is undervalued, is there any problem with the company taht it is not able to realise its true potential or what.